I am writing this to warn all of you of what is coming. What is about to come upon you all. Without accepting Jesus as your Lord and Savior you are doomed to spend eternity (that means forever and ever) in Hell! Yes I said it, HELL! Hell is a very real place. It is a place of darkness, evil, torture, pain, burning fire, loneliness and no escape. You shall feel the pain and find no relief, thirst for water and not find it, search for company and be without. It is a place of intense misery without any grace or forgiveness. You shall be tormented by demons. There is no food to eat, no water to drink. Explanation for Millions of Missing People! I am writing this letter to those of you who are wondering what has happened to all of the missing people on earth. Why is there so much chaos and confusion. If you are reading this letter than you have been left behind! What do I mean by being left behind? Well, that is what I am going to explain to you in this letter. Please bear with me as I try to explain. It may sound crazy and unimaginable, but please read the entire letter. I am a Christian. I believe in Jesus Christ. I am writing to you ahead of time. Because after the rapture I will not be here. Nor will any other true believers in Jesus. As you already know the world has been a very chaotic place. There have been many wars, riots, protests, food shortages, economic collapse, disease and natural disasters. How do I know these things? Well, God told me through his Word, the Bible. The Bible is the true Word of God. It tells us how we should live and what is to happen in the future. The Bible has never been wrong about future events. All of Bible prophecy has come true. You cannot say that about any other book or religion. ‘4 And Jesus answered and said to them: “Take heed that no one deceives you. 5 For many will come in My name, saying, ‘I am the Christ,’ and will deceive many. 6 And you will hear of wars and rumors of wars. See that you are not troubled; for all these things must come to pass, but the end is not yet. 7 For nation will rise against nation, and kingdom against kingdom. And there will be famines, pestilences, and earthquakes in various places. 8 All these are the beginning of sorrows. By now the world should be a very ugly place to live. A very dangerous place to live. When the Christians disappeared there must have been total chaos in the world. Drivers of cars, trains, buses and airplanes disappearing. Thousands upon thousands of accidents around the world. People disappearing before your eyes. Doctors performing surgeries, newscasters, police and firefighters, military personnel all gone in an instant! You will hear many rumors about what has happened to all of them. You will hear of alien abductions, which is what I believe will be the biggest lie. Or it may be some other lie. Although at this point in time it is hard to imagine what else they could come up with. Do not believe it! I will tell you exactly what has happened. Jesus has come back to earth in the clouds and taken the true believing Christians with him. He has changed our bodies into spiritual bodies and taken us with him to Heaven. This is also referred to as “The Rapture” of the Church. Our bodies were changed in the twinkling of an eye. That is how Jesus described it to us. You can read it in the Bible. We will remain with him in Heaven for a short time. It should not be for more than seven years and perhaps less. Then Jesus will return with all of us and his angels to battle with Satan and his armies. Jesus will return to Jerusalem and set foot on the Mount of Olives. The time left on earth before we return with Jesus will be horrific. The first 3 1/2 years known as “The Tribulation” won’t be as bad as the last 3 1/2 years “The Great Tribulation”. 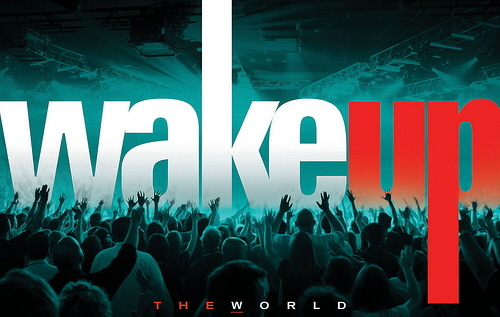 There will be a World Leader arise who will proclaim peace and safety for the world. He will sign a Peace Treaty with Israel and the Palestinians. He will institute a “One World Government” and a “One World Religion”. He will also have a religious leader with him. This World Leader is known as the Anti-Christ and the Religious Leader is known as the False Prophet both of which are possessed by demons and are under the control of Satan. They shall perform great miracles to deceive the world. They will proclaim to be able to bring peace and security to the world. Do not trust or believe them. He will make everyone receive the Mark of the Beast! You will not be able to buy or sell without the mark. DO NOT DO IT! If you take the mark then you are accepting Satan as your god. You will be damned forever and cast into the lake of fire for eternity! The only way to escape is to Accept Jesus Christ as your Lord and Savior! This will ensure that you will have eternal life with Jesus and your loved ones that disappeared. God will seal you with his mark. You will still have to endure the tribulation period before Christ returns. You will have to endure persecution from the Anti-Christ and his followers. The only other alternative is to worship Satan! 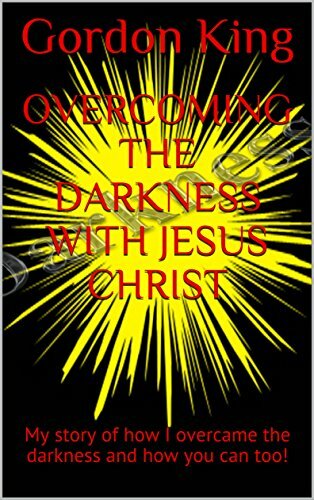 I will write other pages to explain most of what I have told you about and information you will need to survive: “Rapture”, “Tribulation”, “Mark of the Beast”, “Eternity”, “Millennium”, “Accepting Jesus” (Get Saved!..A Gift from God!!! ), Etc. You will find these pages under the “Prepare” heading. Accept Jesus Now as your Lord and Savior!